Who was the Prophet Habbakuk? 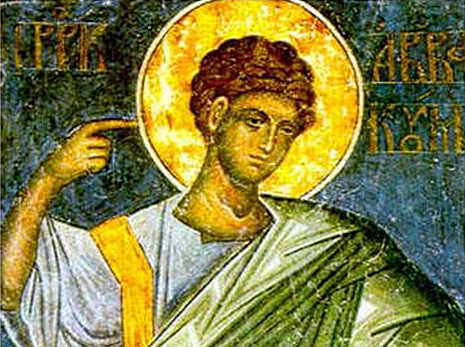 This Prophet, whose name means “loving embrace,” is eighth in order of the minor Prophets. His homeland and tribe are not recorded in the Divine Scriptures; according to some, he was of the tribe of Symeon. He prophesied in the years of Joachim, who is also called Jechonias, before the Babylonian captivity of the Jewish People, which took place 599 years before Christ. When Nabuchodonosor came to take the Israelites captive, Habakkuk fled to Ostrakine, and after Jerusalem was destroyed and the Chaldeans departed, Habakkuk returned and cultivated his field. Once he made some pottage and was about to take it to the reapers in the field. An Angel of the Lord appeared to him, and carried him with the pottage to Babylon to feed Daniel in the lions’ den, then brought him back to Judea (Bel and the Dragon, 33-39): His book of prophecy is divided into three chapters; the third chapter is also used as the Fourth Ode of the Psalter. His holy relics were found in Palestine during the reign of Emperor Theodosius the Great, through a revelation to Zebennus, Bishop of Eleutheropolis (Sozomen, Eccl. Hist., Book VII, 29). Read the complete biography on the Greek Orthodox Archdiocese website. 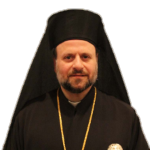 Bishop Nicholas will be making a pastoral visit to the our area on Tuesday, December 5 at St. Paul Orthodox Church (get map). 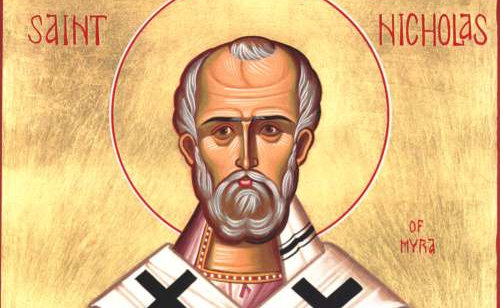 7:00PM — The Story of St. Nicholas followed by light refreshments. It is important we attend to show respect for our Bishop and strengthen our bonds with the Parishioners of St. Paul’s. More import is that our attendance keeps us within the traditions of our Orthodox faith in a society that is becoming increasingly de-Christianized. The date of the program has been moved to December 6, 2018. Bp. Nicholas will be visiting St. Paul’s the day before on December 5, 2018. 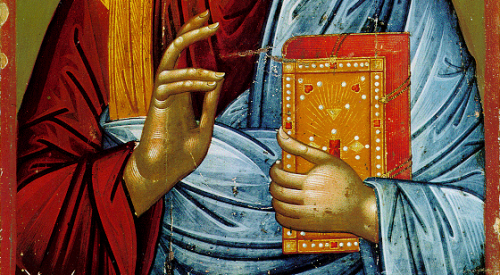 The Nativity Fast is one of the four Canonical Fasting Seasons in the Church year. This is a joyous fast in anticipation of the Nativity of Christ. That is the reason it is less strict than other fasting periods. The fast is divided into two periods. The 1st period is November 15th through December 19th when the traditional fasting discipline (no meat, dairy, fish, wine, and oil) is observed. There is dispensation given for wine and oil on Tuesdays and Thursdays. 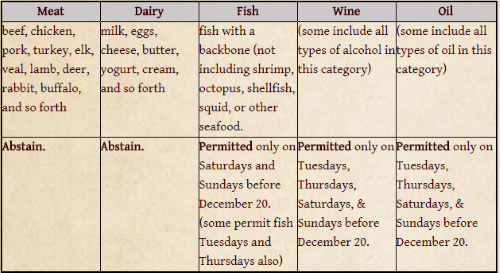 Similarly, fish, wine, and oil are permitted on Saturdays and Sundays. The 2nd period is December 20th through 24th when the traditional fasting discipline (no meat, dairy, fish, wine, and oil) is observed. There is dispensation given for wine and oil only on Saturday and Sunday during this period. Fasting always works in conjuction with prayer and giving alms (helping the poor, giving to worthy charities, etc.). Fasting helps us reorder the interior life, but the reordering does not occur with greater prayer and greater concern for the poor. The reordering is a clarification — we end up seeing things more clearly, we get stronger in the fight against sin and temptation. The fast always ends on a great Feast Day of our Lord. Let’s make our Second Annual Toys for Tots Drive the best one yet! Please bring new, unwrapped toys to Church to make Christmas brighter for kids who otherwise would have none. A Toys for Tots contribution box will be in the Social Hall until December 2, 2018. Every child deserves a Christmas! 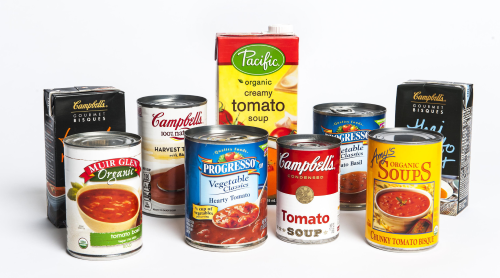 Interfaith Charities, the local assembly of churches that helps the poor in our area, needs soups. Publix is running a two for one on soups this week. Buy some and give double! If you bring to the church, we will get them to Interfaith Charities. Tuesday December 5, 2018 — Bp. Nicholas Pastoral Visit at St. Paul’s 6:00pm. 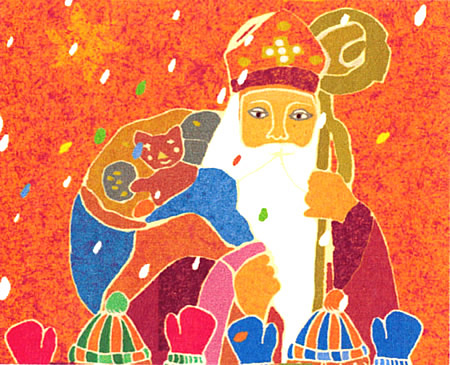 Wednesday December 6, 2018 — St. Nicholas Celebration. 6:00pm. It is a good thing to believe in Christ, because without faith in Christ it is impossible for anyone to be saved; but one must also be instructed in the word of truth and understand it. It is a good thing to be instructed in the word of truth, and to understand it is essential; but one must also receive Baptism in the name of the Holy and Life-giving Trinity, for the bringing to life of the soul. It is a good thing to receive Baptism and through it a new spiritual life; but it is necessary that this mystical life, or this mental enlightenment in the spirit, also should be consciously felt. It is a good thing to receive with feeling the mental enlightenment in the spirit; but one must manifest also the works of light. It is a good thing to do the works of light; but one must also be clothed in the humility and meekness of Christ for perfect likeness to Christ. The Lord is my strength and my song. With chastisement hath the Lord chastened me. Brethren, be strong in the Lord and in the strength of his might. Put on the whole armor of God, that you may be able to stand against the wiles of the devil. For we are not contending against flesh and blood, but against the principalities, against the powers, against the world rulers of this present darkness, against the spiritual hosts of wickedness in the heavenly places. Therefore, take the whole armor of God, that you may be able to withstand in the evil day, and having done all, to stand. Stand, therefore, having girded your loins with truth, and having put on the breastplate of righteousness, and having shod your feet with the equipment of the gospel of peace; besides all these, taking the shield of faith, with which you can quench all the flaming darts of the evil one. And take the helmet of salvation, and the sword of the Spirit, which is the word of God. And Jesus stopped, and commanded him to be brought to him; and when he came near, Jesus asked him, “What do you want me to do for you?” He said, “Lord, let me receive my sight.” And Jesus said to him, “Receive your sight; your faith has made you well.” And immediately he received his sight and followed Jesus, glorifying God; and all the people, when they saw it, gave praise to God.